In the recent ‘All My Favourites’ article, I brought up how much I adored Lost Odyssey last generation. After going back and thinking about it, I thought “hold on…I really freaking loved that game. I need to talk about it some more”. I spoke about how prior to Lost Odyssey, the only JRPG’s available to Xbox 360 owners were Blue Dragon and Enchanted Arms. Enchanted Arms (a solid game in its own right) was the first JRPG on the 360 and having anticipated a next generation JRPG, I wasted no time in jumping on that when it was released. Blue Dragon was developed by Hironobu Sakaguchi’s Mistwalker, the same team that developed Lost Odyssey, and with Akira Toriyama (of Dragonball fame) working on the game’s art style, Blue Dragon had a lot going for it. The end result was another solid JRPG, however many felt Blue Dragon didn’t really excel in any particular area. Lost Odyssey dropped just a year after Blue Dragon and while both games had the same writer (Sakaguchi) and composer (Uematsu), Lost Odyssey’s plot pulled me in right away. ‘An immortal man that’s lived for thousands of years, struggling with the return of memories from his dark past’, as soon as I heard that, I knew I needed to play the game. Like the game itself, the opening cinematic doesn’t get the praise it deserves, as it perfectly sums up the character of Kaim by showing just what he’s been living through during his immortal life. It grabbed our attention right from the get-go, having us interested in finding out about the mysterious protagonist and his complex past. From a gameplay standpoint, Lost Odyssey didn’t make any drastic changes (to the traditional turn based system) but the small additions it did make were unique enough that it made battles consistently enjoyable. The most memorable addition was the ring system, which came into play when attacking (and could result in additional damage if timed correctly). One aspect of the game that some may forget was the use of immortal characters. Unlike the mortal members of your party, immortal characters couldn’t gain skills from levelling up. Instead, immortal characters had to be linked with mortal characters, and doing so would enable them to learn new skills. It wasn’t just a unique way of having to build up your party, but it also helped to differentiate the characters. Speaking of the game’s characters, admittedly some of the party were completely forgettable (honestly I completely forgot about the characters Sed and Tolten), as was the antagonist Gongora, who was pretty generic overall. 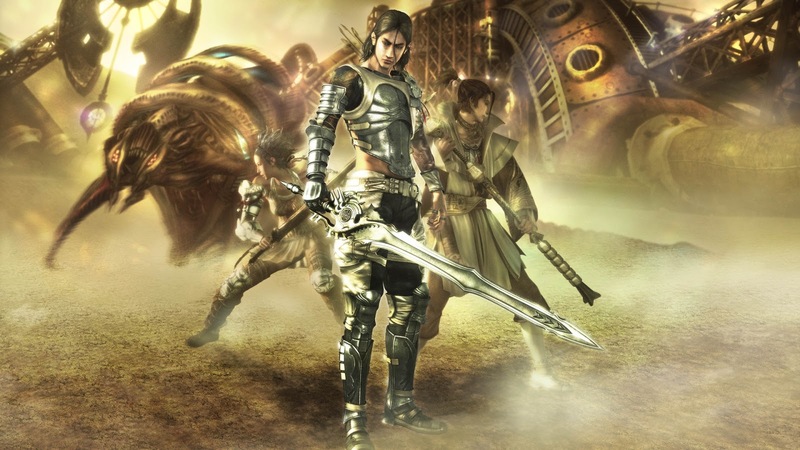 However when I look back at Lost Odyssey, I don’t think of the story as being about the party trying to stop Gongora’s evil plan, I see it as a man trying to understand his life better with the assistance of his loved ones. One of the reasons I’ve always felt this is due to the incredible ‘A Thousand Years of Dreams’ sequences, in which we are told stories of Kaim’s life. Praised by many for telling emotional and impactful tales, they managed to make the player give a damn about a character they might not necessarily have cared for. While I personally would love to see a Lost Odyssey sequel, it’s safe to say we never will. Mistwalker has moved away from making console games (with their last being The Last Story in 2012) and they don’t look like they will be returning anytime soon. Despite that, I’ll always have the memory of Lost Odyssey arriving right when I felt the need to undertake an epic JRPG adventure…and I thank Mistwalker for that. Mist walker is working on a console sequel to their mobile game Terra battle.